So much for the “all of the above” policy…. “By significantly reducing the acreage of wilderness potentially available for leasing, Secretary Salazar is laying out a creative, thoughtful and more responsible approach in managing some of our most precious resources,” said Bobby McEnaney, senior lands analyst with the Natural Resources Defense Council. 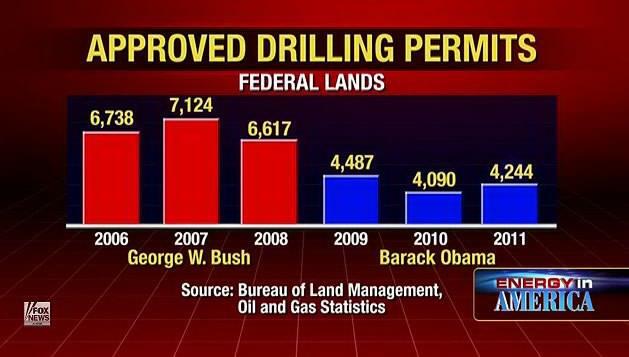 Hey President Obama – What was that you said about how you approved more drilling permits than Bush? This entry was posted in 2012 Primary, Energy Policy, Jobs, Lies, Obama, Treason, True Talking Points. Bookmark the permalink.